The European low-cost airline easyJet, has released its June 2018 traffic statistics this week, showing a 6.6% growth in passenger numbers compared to the previous 12 months. The airline saw a 1.8% increase in capacity in June and 1.4ppt increase in load factor to 93.5% compared to the previous 12 months ending 30 June 2018. All numbers were also up when compared to June 2017 with passenger numbers increasing by 2.3%. The airline says, Italian, Spanish and UK city breaks as well as Balearic beach breaks proved popular in the month and easyJet operated around 51,000 flights in June 2018 - an average of 1,700 flights a day - and carried more than a quarter of a million passengers per day totalling 7.9 million passengers in the month across its European network. The statistics do not include the airline’s Tegel operations, which commenced on 5th January 2018. There were 1,263 cancellations in June 2018 - equivalent to c.2.7% of planned capacity and up on the 213 experienced in June 2017. Around 900 were due to French and Italian industrial action with a further 150 arising from adverse weather conditions and ATC restrictions. 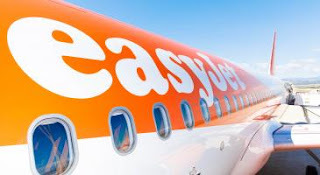 Johan Lundgren, CEO of easyJet, commented, “French ATC industrial action has caused considerable disruption to European airspace throughout May and June. We pre-emptively cancelled flights to give customers the time to change their flights free of charge or receive a refund and ensured we provided accommodation for those affected." The low-cost airline recently announced the launch of two new summer routes from London Gatwick to Volos in Greece and to Ancona in Italy. Both destinations are also brand new network points for easyJet, with London Gatwick to Volos also the only scheduled direct route to the Greek city from the UK. Flights between London Gatwick and both new destinations took off for the first time on 27 June and are operating twice a week on A320 aircraft throughout the summer until 1 September 2018. Sophie Dekkers, UK Country Director for easyJet said, “We’re delighted to launch flights from London Gatwick to Volos and Ancona and to celebrate two brand new destinations joining the easyJet network. “With the addition of two brand new destinations, we’re also very pleased to be demonstrating the continuous growth of the easyJet network across the UK and Europe.